I have always wondered why this plant was called Moses in A Cradle until I found this growing in the roots of my Banyan Tree this morning. The flowers do look like a cradle, I am not so sure about Moses or why he is involved. This is also called Boat Lily, which makes a bit more sense. 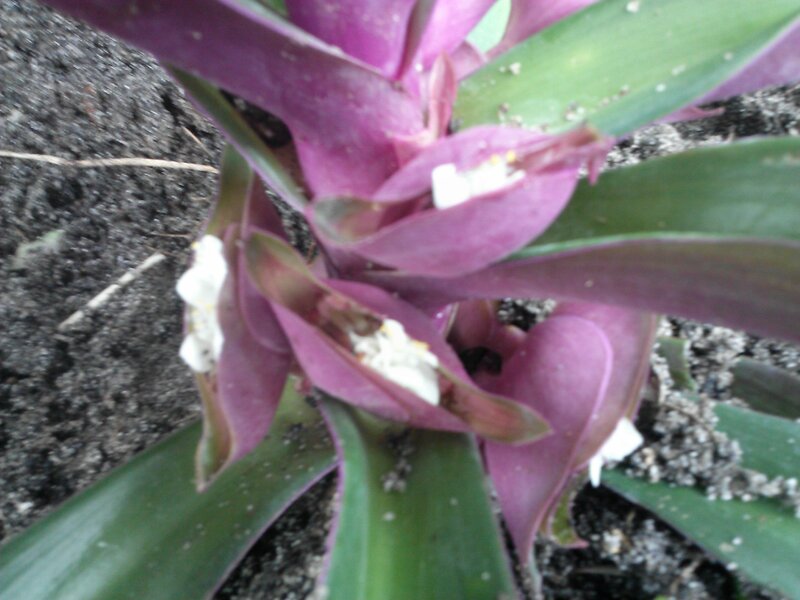 Yet another common name is Oyster Plant, Hmmm, maybe it looks like a purple oyster? Then there is the botanical name dilemma, I learned this as Rhoeo, now they seem to have decided it is a Transcandentia. Whatever. Plant taxonomy is not my forte. The state of Florida lists this as a Category II Invasive. Which sounds scary, but if you do some research it seems this plant has the potential to do damage in certain environments but it hasn’t quite done it yet. The environment this flourishes in is a Tropical Hammock. I live on top of a gigantic Sand Dune, so I think I am safe from the Oyster Plant. As I am somewhat overrun with some invasive plants (the evil Brazilian Pepper and Mother in Law’s Tongues) I am leery of this one, but I think I will just keep an eye on it. This entry was posted in Florida, Perennials, Plants, Treasure Coast Living and tagged Florida gardening, South.